The daughter of an agricultural banker, Cynthia Clark grew up in Colorado. She earned a BA in mathematics at Mills College in Oakland, California, and an MA and a doctoral degree in statistics from Iowa State University. 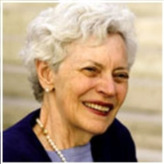 Clark worked as the Director of the NASS Census and Survey Division and t, from 1996 to 2004, as Associate Director for Methodology and Standards at the U.S. Census Bureau. In September 2004, she moved to Great Britain and served in the Uk Office for National Statistics developing statistical and survey methodology for three methodology divisions. She was also the chair of the Women in Statistics Committee of the International Statistical Institute. Clark was appointed administrator of NASS on June 27, 2008.